Hola! So It's now 14 weeks since I got pregnant, 9 weeks since baby/fetus died, 4 weeks since I found out and 2 weeks since my miscarriage. And I still get positive pregnancy tests! I'm at that point now that I hope this won't interfere with me getting pregnant this month/beginning of February, and that somehow I will get a negative before my new positive. Obviously, I know what it feels like being pregnant, already early on, but there will be a problem if the timing is off by weeks as we will have to book an early scan next time, and if our dates are off then fetus will be too small and might not have a heartbeat anyway. When I had my first miscarriage in august 2011 I got pregnant 14 days after. 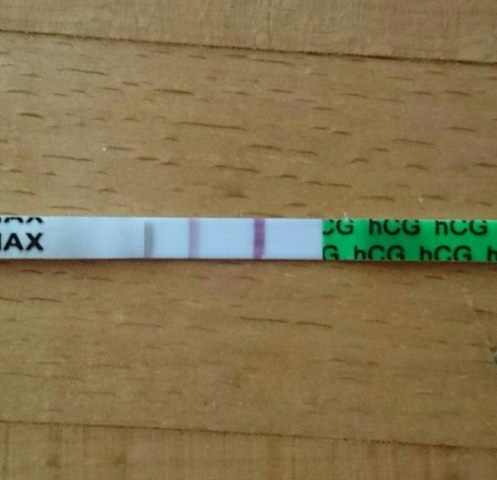 At that time I didn't do pregnancy tests as I didn't know or think they could come up as positive after a baby had died. And that worked that time, but now I know too much and it's so much worse. It's been nothing but a mind game and I'm over it. Just give me a baby now!